In the 1960’s Dr.William Donald Kelley came down with a very aggressive form of pancreatic cancer. The cancer grew such that very large tumors that were protruding from his torso. Subsequently in an effort to heal himself of this life threatening ailment Dr.Kelly began experimenting with various supplements. He responded very quickly to them and then discovered something shocking! An astute empirical observer, Dr.Kelly noticed that certain minerals and vitamins were detrimental and actually made the tumor worse and the tumor protrusions grew in size sticking further out of his torso! He noticed however, that other minerals and vitamins had the opposite effect and noticeably decreased the size of the tumor protrusions thus healing him. This led to a rather counter intuitive discovery. Most people assume that all minerals and vitmains are good for everyone. However in supplemental form this clearly wasn’t the case. Some supplements as well as foods had a decidedly negative effect while others had a positive effect. Thus Dr.Kelly formulated a protocol to help cure people of cancer. It worked very well on a large number of people however there were some people it had the opposite effect and appeared to make them more ill. He got to the point where with one patient, he decided to do the very opposite of what worked for him and recommended she ate all the foods that made him worse. Within a day she began recovering. This led to the discovery of metabolic type. One man’s food is another mans poison. *Note: Dr.Kelly also found that certain supplements in small quantities had a SNS type effect, however in larger quantities had a PNS effect, and vice versa. In an effort to look for the reasons why people should respond so differently to diet & supplements Dr. Kelly came across work relating to individual dominance in the nervous system and how it relates to metabolism. The nervous system is responsible for controlling a whole host of chemical reactions within the body including digestion and the need for various nutrients and much more. It would stand to reason that a dominance in one type would lead to different nutritional requirements. The parasympathetic is know for recovery and digestion its functions being primarily anabolic, where as the sympathetic nervous system is primarily catabolic and is known for activation of the fight, flight or freeze response. These systems also have a well known effect on the body’s acid-alkaline balance. 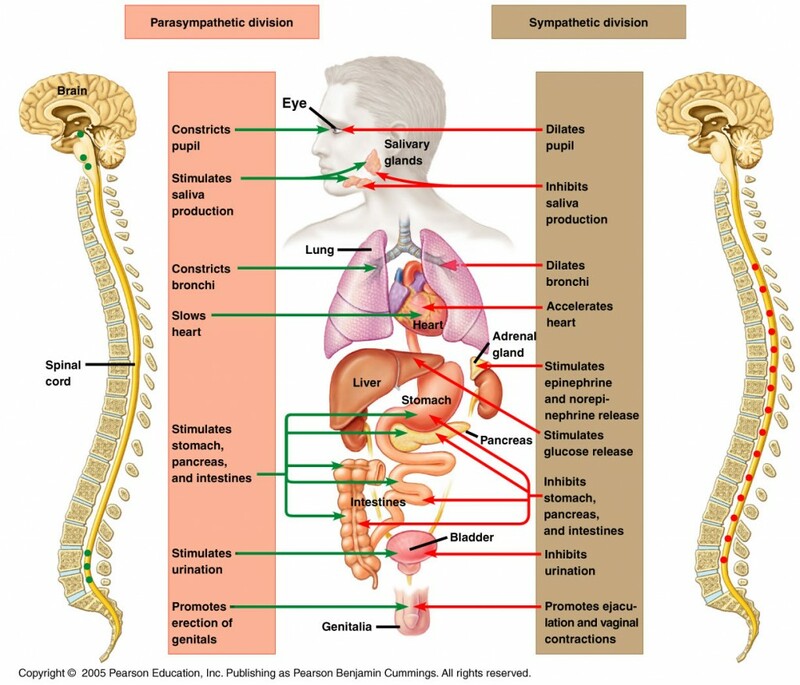 Parasympathetic dominance leading to more of a alkaline state, and sympathetic dominance leading to more a acidic state. This has a functional effect on much of the body’s biochemistry. Because Dr.Kelly had pancreatic cancer he also thought it prudent to take pancreatic enzymes to help support digestion seeing as his pancreas was compromised. Pancreatic enzymes main function is to assist in the breakdown of food. SNS dominants, which is what Dr.Kelly is typically have decreased production of pancreatic enzymes to begin with. However Dr.Kelly noticed a peculiar effect. When he took pancreatic enzymes independent of meal times he noticed a dramatic decrease in tumor protrusion size. This was a very peculiar discovery. Why should digestive enzymes taken independent of food have an effect on cancer growth at all!? Something else was going on. He went to his local library where he came across an obscure book written by Dr.John Beard who at the turn of the century in 1911 discovered that pancreatic enzymes could be used to cure cancer. Now he was on to something. Dr.John Beard discovered there is a bizarre connection between the similarity of cancer cells and placenta cells when they first begin growing via the fetus into the uterus. Placental cells replicate in the same invasive fashion into the uterine lining supplying a developing fetus with much needed nutrients in much the same way that cancer tumors form and feed themselves. However what was it that caused the placenta to stop growing? Dr.Beard discovered that right at the time the placenta stops growing the fetus’s pancreas begins production of enzymes. Now this is rather strange because a fetus isn’t eating and digesting food so why on earth would it need these enzymes? Nutrients comes from the blood of the mother already in a predigested broken down form. Thus Dr.Beard discovered that pancreatic enzymes have an inhibiting effect on the growth of placental cells and are NOT just for digesting food, and using this theory began to treat cancer in a wide variety of animals and humans. Dr.Kelly then went on to use this approach on thousands of people, and Dr.Gonzalez follows in his foot steps to this day. Many people diagnosed with stage four “incurable” forms of cancer have been cured using these enzymes. Remember that none of this Black or White. No one fits into a category 100%, rather there tend to be general tendencies to one end, or perhaps not and you are balanced. I believe that the Judging/Perceiving & Extroversion/Introversion metric of Myers-Briggs personality type system is most likely one of the best indicators of SNS vs PNS dominance. To figure out your metabolic dominance please click here. Dr.Kelly devised a test of 3200 questions in order to help determine dominance. So if your confused you can do that. There is also the MBTI Step 2 test as well. I would venture an educated guess that about 33% of the population is SNS dominant, 33% PNS dominant and 33% Mixed. CFS really messes things up here and can make this all very confusing. Someone who is SNS dominant has tons of energy and then goes into adrenal fatigue will have their PNS system take over and have all the negative symptoms of PNS dominance and the SNS symptoms with none of the benefits of each. The PNS systems and the SNS system will be “fighting” each other. For those who have CFS and suspect they have a dominance, it’s important to go back to BEFORE the CFS started to figure out your inclination and support that. It’s possible to swing to far to one side in attempt to achieve balance. Every person is going to have a different balance point where diet/supplements have an optimal level. When the body is besieged by infection or toxins PNS mode may begin to dominate in a person who is not naturally programmed for that state. Thus supporting the underlying fundamental SNS dominance becomes pertinent. A person who is PNS dominant might believe they need an all vegan diet, and may make things worse for themselves. A SNS might take all the PNS supplements believing that is what they need, and compromise their system. There is much to be learned here and how it applies to CFS, I believe the journey has only begun. I have a strong hunch that some of the cases of CFS out there, might be people who are supplementing/eating wrong for their metabolic type. Sometimes also cultural foods/diets may not line up well with a persons given dominance. Often partners in relationships are the opposite dominance (opposites attract, duh!) which can make communal cooking tenuous at best leading one person to feel well and the other to feel ill resulting in conflict over diet. Metabolic type could be one potential cause in a multi-factorial set of causes, but defitnately something to consider especially if a dominance is present. If a strong inclination isn’t present this may not be of much help. As far as I know, no one has studied the connection. Obviously there would be some implications. The work of Allan Schore seems to suggest that a lot of a person’s personality and nervous system programming is layed down depending on nurture-like environmental factors and circumstances. The nervous system “templates” itself off the mother and the region of the brain that controls the CNS and ANS is one of the most neuro-plastic region of the brain. Via the latest research in neuroscience incredible things have been discovered in how the brain can rewire itself heavily modulating the SNS and PNS. Thus there is a psychosomatic aspect to this as well. However it seems likely genetic factors are at play here as well. Down-regulations on COMT and MAO would likely have the effect of increasing nor-epinephrine levels in the body which would act as a permanent trigger on the SNS. Thus it is conceivable that nutritional workarounds for the polymorphisms could again help modulate SNS and PNS. Changes anywhere in the methylation cycle can have an impact on neurotransmitters which is how the SNS and PNS become activated. Dr.Kelly found that SNS dominants do better on a Vegan/Vegetarian diet, PNS dominants do best on a high fat/protein meat based diet, and mixed or balanced get the best of both world and do best on a more Mediterranean mixed type diet. Also the PNS types do better with acid forming food where as SNS types do better with alkaline forming foods.